Sleeping patterns change with age, whether we are growing up, or growing old. While most people are prepared for the rapidly altering sleep patterns of growing children, the evidence suggests that many are unprepared for additional sleep changes in later life, either in themselves or in others. 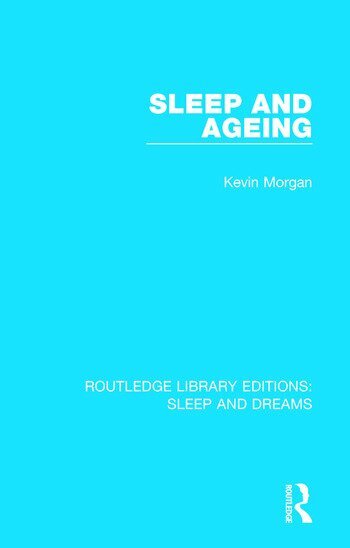 In this book, originally published in 1987, two research disciplines – social gerontology and sleep research – are brought together with the aim of providing a straightforward account of how sleep is changed and disrupted by the biological and social impact of ageing. Attention then focuses on the personal and clinical response to these changes. The use of sleeping drugs among elderly people is critically examined, and effective alternatives, including self-help practices and psychological therapies, are described. The influence of ageing on the recall and content of dreams is also considered. In the final chapter, the author comments on current styles of responding to sleep problems in old age and discusses the need and the scope for change. This book deals with topics of universal interest and provides valuable information for those professionally as well as personally concerned with sleep quality in later life, including health professionals (nurses, doctors, psychologists etc.) working with elderly people, gerontologists, and sleep researchers.